The [kwlink]Nintendo Wii[/kwlink] and the [kwlink]Playstation 3[/kwlink] have landed, in fact they're weeks old now so they aren't even the [kwlink]latest gaming news[/kwlink]! If you want the 411 on them, check out [kwlink]Kidzworld's Top 5 Nintendo Wii Video Games[/kwlink], or [kwlink]Kidzworld's Top 5 Playstation 3 Video Games[/kwlink] for the word on what rocks. Today's big news is all about Disney's Toontown Online video game, and the new Save the Dinos game. Check out the info below and don't forget the big list of new games that launch this week! 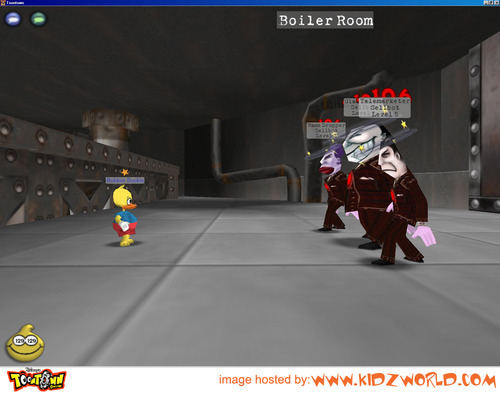 The cute, colorful and totally safe world of Disney's Toontown Online lets you become a [kwlink]cartoon character[/kwlink], make [kwlink]friends[/kwlink], build a toon home, battle boring Clanks and more! It's also, finally, available for Macintosh computers which means that the millions of toons online are about to get a bunch more neighbors. To celebrate, three new gags have been added too! Now you can pitch a Wedding Cake at someone, drop an Ocean Liner on your least-favorite Clank or bring the house down with an Opera Voice gag. 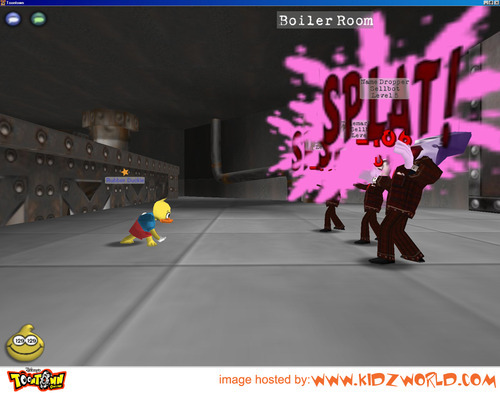 For more info on the game, check out the pics below and Kidzworld's [kwlink]Disney's Toontown Online[/kwlink] game review. 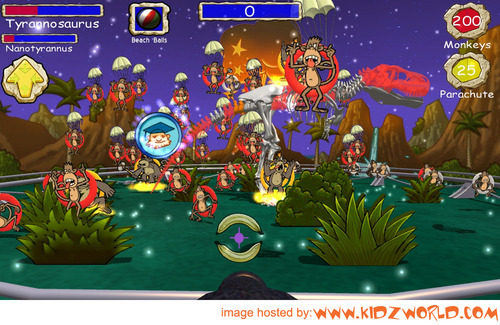 The Bone Monkeys showed up after the [kwlink]dinosaurs[/kwlink] were all toast and the naughty primates are trying to bust up all the bones! Bad monkeys! 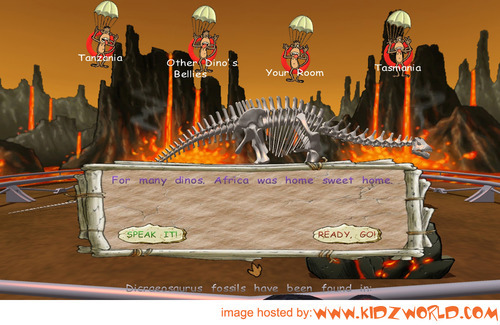 The new Save the Dinos video game lets you save the day for all the cool [kwlink]dinosaur skeletons[/kwlink] by knocking the monkeys senseless so they can't smash 'em up. Dino-experts will have an advantage cuz if you know your facts, you can answer questions about dinosaurs to unlock bonus powers! Check out the game pics and video trailer below. December 4 - Kirby Squeak Squad for DS. December 4 - Custom Robo Arena for DS. December 5 - Star Trek: Legacy for PC and Xbox 360. December 5 - Rayman Raving Rabbids for PS2. December 5 - Fight Night Round 3 for PS3. December 5 - WWE Smackdown vs. RAW 2007 for PSP. December 5 - Star Wars: Lethal Alliance for PSP. December 5 - Puzzle Scape for PSP. December 5 - Zatch Bell: Mamodo Fury for Gamecube. December 5 - Ice Age 2: the Meltdown for Wii. December 5 - Castlevania: Portrait of Ruin for DS. December 5 - Rayman Raving Rabbids for GBA. December 7 - Disney's Chicken Little: Ace in Action for Wii.